We’re celebrating our Community Solar investment across the Tamar Valley. Working with local organisations we’ve installed 325kW of community owned solar PV across six sites. Click here to see a graph of the latest generation. The installations are owned by our community, and are being managed and maintained by Tamar Energy Community (TEC). Our host sites benefit from reduced cost electricity, are community generators of renewable energy – good for our planet, and are able to promote the benefits of renewables, We’ll also be helping them to reduce their energy usage in other ways as well. Our local community has the opportunity to invest in, and co-own the installation, and receive a fair rate of return. The money which would otherwise have been paid by host sites (for their solar energy) to national and international energy companies is paid to TEC, a community benefit society. Any surplus from the project goes into our Community Energy Fund and is used to alleviate fuel poverty across the area. We’d particularly like to thank our local Community Solar Seed Loan investors who have loaned us £85,000 to help make sure everything was installed in time and Cornwall’s Low Carbon Society who have loaned us £285,000. In autumn 2017 we’re launching our Community Solar Share offer. This will be used to pay back part of the Low Carbon Society Loan and our Community Solar Seed Loan investors … and ensure wider community ownership. If you are interested in investing please register your interest here. 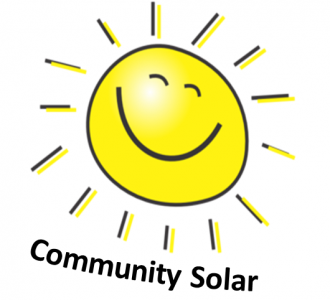 Community Solar is important because it enables local ownership of energy generation. Kate Royston, the project developer from Tamar Energy Community “We’re immensely proud that we’ve been able to get our first community generation project off the ground and into the grid! It’s been hard work but very worthwhile and we look forward to developing more power and heat projects in the future”. Our Community Solar project would not have been possible without the help of our valued installers Sungift Energy and ZLC Energy, our legal support from Bright Solicitors, the work of our volunteers, grants from the Devon County Council and Regen Accelerator Programme and importantly our Rural Community Energy Fund Grant of £20,000. This enabled us to work with our consultants from Communities for Renewables and Plymouth Energy Community. To find out more about the project, our share offer, and to see how much we’re generating come and see us at Local Matters, Elbow Lane, Tavistock, email us at hello@tamarenergycommunity.com or call on 07969 569 444.